Petty Spurge is another weed which is found in abundance on waste ground and in gardens. 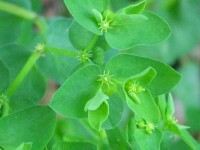 The individual green/yellow flowers are tiny and are grouped in threes to form the flowerhead. 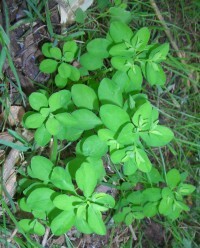 The leaves are oval. 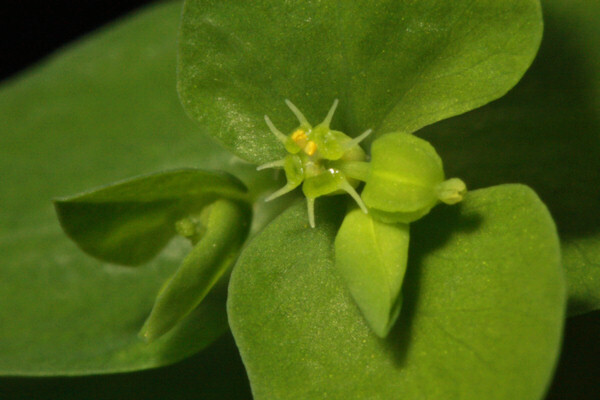 The stem is hollow and filled with a poisonous, milky sap - as are other members of the spurge family.